Breast Cancer Genomic Test Can Rule Out Need For Chemo : Shots - Health News Thousands of breast cancer patients could now safely avoid chemotherapy thanks to a major study of women with moderate risk of recurrence. Women with a common form of breast cancer may be able to safely forgo chemotherapy, depending on the results of a genetic test. The study, published Sunday in the New England Journal of Medicine, finds that patients who fall in the intermediate risk zone do as well with hormone therapy alone as with chemo plus hormone therapy after surgery. "[The findings] are both important and significant, and also practice-changing," says, Dr. José Baselga, a medical oncologist and physician in chief at Memorial Sloan Kettering Cancer Center in New York, who was not involved with this research. "Basically, it's going to spare a lot of unnecessary chemotherapy in patients with breast cancer." Oncotype DX first hit the market in 2004. Earlier research found that a patient with a high-risk case, or score of 26-100, would benefit from chemotherapy, while a patient at the lower end with a score of 10 and under would not. This left a lot of women, an estimated 65,000 in the U.S. each year, in a gray zone, unsure if they would benefit from chemo. The new study, called TAILORx, is a large, randomized trial involving thousands of patients. It found that for patients in the middle, with scores between 11 and 25, there is a similar rate of cancer-free survival for those who had chemo combined with hormone therapy, and those who had hormone therapy alone, after nine years. Women younger than 50 still saw some benefit from chemotherapy, especially with scores between 21-25. This means in practice doctors can tell 70 percent of these patients they don't need to agonize over whether to get chemo, says study co-author Dr. Kathy Albain, a hematology and oncology professor at Loyola University Medical Center in Illinois. "Our uncertainty is over," she says. In the trial, researchers gene tested more than 10,000 patients across six countries with the most common form of early breast cancer, hormone-receptor positive, HER-2 negative breast cancer that hadn't spread to the lymph nodes. Nearly 7,000 patients' scores fell into the middle range, between 11 and 25. This researchers split the middle-scoring group into two randomized subgroups: one treated solely with estrogen-blocking hormone therapy, and one with chemo combined with hormone therapy. The researchers tracked the patients' health outcomes over nine years. 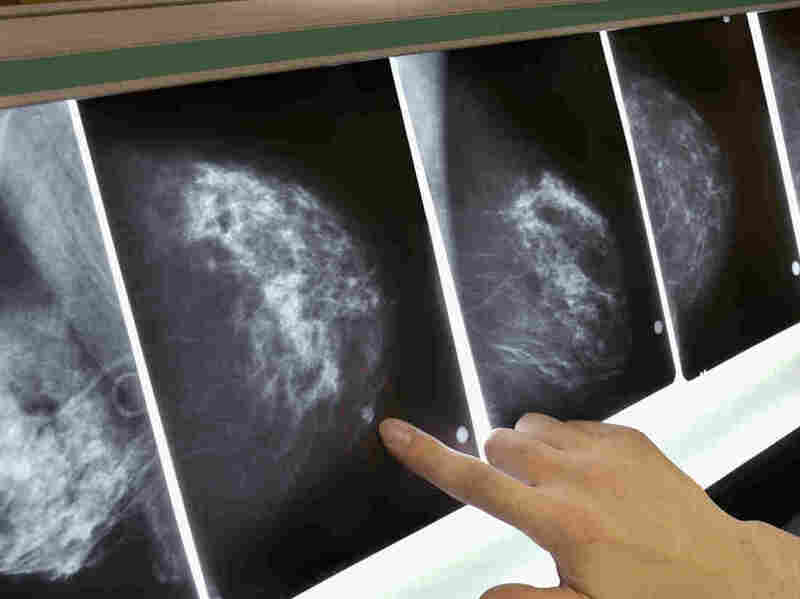 In the U.S., the most recent data shows around 135,000 new cases yearly of the specific breast cancer studied, says Dr. Joseph Sparano, an oncologist at Montefiore Medical Center, a professor of medicine at the Albert Einstein College of Medicine and the lead author of the study. Twenty-five percent of those patients won't qualify for chemotherapy because of age or medical problems. Out of the 100,000 or so patients who could take the gene test to help make a decision about chemotherapy, he says at least two-thirds fall into the middle range that can benefit from the study findings. "This information really addresses a major unmet medical need to have a very high level of evidence to make potentially life-saving decisions," Sparano says. "This has very important public health implications. It helps direct patients to the right therapy, so that we're treating the right people with the right therapy at the right time." This research, sponsored by the National Cancer Institute, comes at a time when rates of chemotherapy for breast cancer are already decreasing. A 2017 study showed that for breast cancer that hasn't spread to the lymph nodes, the rate of chemotherapy has dropped from around 27 percent in 2013 to 14 percent in 2015. This decline likely came about thanks to earlier research into gene testing, showing that chemo wasn't helpful for low-risk patients and of marginal benefits for others, says Baselga. All the same, he says, the message of the new study isn't that chemotherapy is irrelevant. "Chemotherapy has saved a tremendous amount of lives, and will continue to do so," Baselga says. "But we need to be precise on when to use it and who to recommend it to. The era of one- size-fits-all is basically coming to an end, which is great news." These results provide assurance that getting gene tested is a valuable first step for patients with this type of breast cancer. Knowing a patient's recurrence risk can spare them from enduring chemotherapy, but also can direct them towards it if they discover that they are at a higher risk, Sparano says. The Oncotype DX test costs $4,600 and is typically reimbursed by insurance, according to Dr. Steven Shak, chief medical officer of Genomic Health, the maker of Oncotype DX. Currently only about 60 percent of U.S. patients who could potentially benefit from it are taking the gene test, he says. These gene tests are only applicable to patients with early-stage invasive breast cancer, Loyola's Albain says. Chemotherapy could still be on the table for people who fall outside of this group. Albain is excited to share the study results with her clients in her practice. One of them, a 59-year-old woman came to her office recently with a recurrence score of 17, and was seriously considering chemotherapy. "My first clinic when I get back, she's on my schedule and it's going to be fun showing her this," she says. Women can have the tendency to turn towards chemo, even if the results have a relatively small benefit, Albain says. A little boost can outweigh the risks of the treatment for these patients. "Now, we're not going to have to have that long discussion," she says. Looking ahead, Sparano hopes to see if this research could be applied to patients whose cancer has already spread to the lymph nodes, which is prognostic for a higher rate of recurrence. Further research could mean sparing some higher-risk patients from chemotherapy.